Where can I find the importable slider files? The importable slider files are part of the main theme package you’re downloading from ThemeForest. Inside the folder Dummy Data → Importable Slider Files, you’ll find an importable .zip file for each slider. How to import a slider? 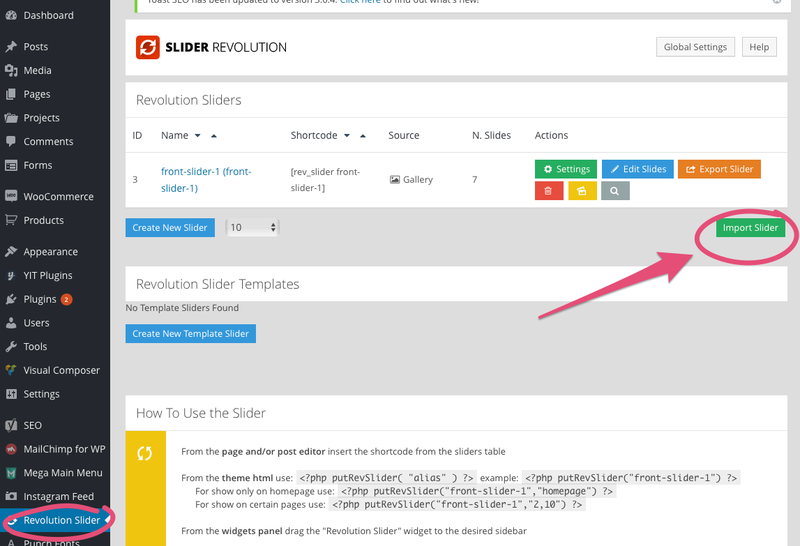 Navigate to the Revolution Slider section in WordPress and find the green Import Slider button. When asked to upload the importable file, use the one of the .zip files mentioned above. Slide Layer Content: Text, Video, etc.